I am Nicholas, Piers’s youngest brother, and I am here to represent his immediate family, his brothers and sister who are all with us today, Christopher, Bernard, Miriam, Godfrey, and Mary, the widow of our brother Gerard. We are here to celebrate the life and mourn the death of Piers Martin Reid who, the month before his 70th birthday, still had much life to live, still had much to give the world, and still had a circle of loyal friends. It’s easy to say things about Piers’ public career. He always wanted to be a soldier. Family legend, which I’m too young to verify, says that when he was seven or eight he was heard by our parents talking in his sleep, and his words were “going round blowing up radar stations”, which became a kind of family catch-phrase. As a boy he was to the fore in organizing the war-games in which the older Reid children were pitted against their sworn next-door-neighbour enemies, the older Holloway children. Even though some of us were very young, we remember him being farewelled from the cramped local parish hall when, as a teenager, he set out to study at Duntroon military college. Among much else, that was the beginning of his life-long love affair with Australia and things Australian. As a soldier he knew active service, when he was a very young officer, in Vietnam; and he saw the direct aftermath of war, when he was a very experienced officer, as one of the observers of the international peace-keeping mission after the civil wars in former Yugoslavia. Piers’s career in the army was illustrious. Our mother, usually a very undemonstrative woman, was immensely proud of the fact that, with each promotion, Piers seemed to be the youngest New Zealand army officer holding the rank that he had attained. He served as New Zealand’s military liaison in the Washington embassy. 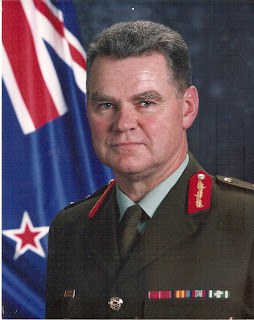 At the time of his retirement he had served as Army Chief-of-Staff, and among much else had reorganized the three separate logistics corps into the new Royal New Zealand Army Logistics Regiment. It was in his time as Chief that the army was officially recognised as Ngati Tumatauenga, the “People of the God of War”, and Piers had the honour and privilege of being the first to wear the chief’s ceremonial cloak. Although I know Piers was a republican at heart, he was also justifiably proud of having his CBE bestowed personally by the Queen in a ceremony at Buckingham Palace. His retirement from the army did not end his connection with things military. Piers earned his honorary Doctorate of Literature for his part in setting up the Centre for Defence and Strategic Studies at Massey University, where he lectured, especially in advanced tactics, campaign studies, joint service campaigning and command studies. The family Piers came from was not and is not noticeably military. Apart from Piers, only Godfrey was part of the forces, doing a long hitch in the RNZAF. Apart from Piers, no member of the family had the ardent love of animals – and especially pet dogs – that Piers had. In fact our family could be seen as over-weighted with pretentious arty and literary types, to whom the profession of arms was totally alien. In loud family debates – especially at Christmas gatherings - on politics, religion, literature, art or economics, Piers would sometimes back off from intellectual discussion by saying self-deprecatingly “Well, what do I know? I’m only a simple soldier.” This was pure theatre, of course. Piers was far from that. As a graduate of both Australian and American staff colleges and of the Royal College of Defence Studies in London, Piers had a very long string of advanced academic qualifications. He read voraciously, literature in English and French as much as military history and history in general. Yes, he did have his pet topics. As an avid student of the American Civil War, he more than once lectured me on why Lee failed at the Battle of Gettysburg and how the disaster of Pickett’s Charge was a foregone conclusion. He speculated on how Franco could have won the Spanish Civil War in about four months if he hadn’t stopped to relieve the Alcazar. He wondered why more New Zealanders had never heard of the Kursk salient and its importance in Hitler’s defeat. The French, he argued, were not mistaken in their strategy at Dien Ben Phu, even if the Vietminh outfought them, but they were let down by military intelligence. Then there was one of his favourites – his firm belief, picking up on the Duke of Wellington’s statement about it being a “damn’d near-run thing”, that Napoleon would certainly have won at Waterloo if he hadn’t been feeling crook that day. All this might sound like what you would expect from a well-read army-officer. But the surprising thing is that Piers, in the right mood, was equally enthusiastic about a broad range of literature. I find myself, as an undergraduate in French literature in my early twenties, reading the works of the aviator and novelist Antoine de Saint-Exupery, “Saint-Ex”. Piers comes along, picks up the book I’m reading, and proceeds to give me, extempore, a more cogent lecture on Saint-Ex than the ones I was getting at university. He shares my admiration for the novels of Joseph Conrad. A few weeks ago, contemplating his end, he begins to recite Gray’s Elegy in a Country Churchyard, especially the bit where “the rude forefathers of the hamlet sleep”. He carried a library of quotable poetry in his head. Some of the things I’ve said so far are on the public record and will be known to Piers’s friends and colleagues. Some may not have the same currency. There was that quirky and satirical sense of humour. On Saint Patrick’s Day, the twelve-year-old Piers took it into his head to march up and down outside the Panmure pub with a toy wooden rifle over his shoulder. When asked why, he said he was “Guarding the pub from the Irish”. One thing Piers could not do was hold a note or sing. He rejoiced in the fact that once, when he was inveigled into singing, all the customers of a karaoke bar begged him to desist. 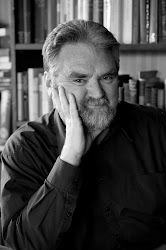 Nevertheless, as well as liking folk music and country music, he had a good grounding in the patter songs of Gilbert and Sullivan and recalled once walking down a road in Vietnam, in full uniform, cheerfully singing “Three little maids from school are we” to the bemusement and consternation of a passing group of US Marines. Six weeks ago, when he knew that cancer had given him a death sentence, Piers sat me down solemnly and told me he wanted me to prepare this eulogy. “Say whatever you like”, he said. So I said “I’ll say that you’re my brother and I admire you”. What I really meant to say was “I’ll say you’re my brother and I love you.” But I knew he wasn’t the man to tolerate such soppy talk, even if his own feelings ran very deep. Piers was, apparently, a man well in control of his feelings, well-organized and with his life neatly prioritised. But it didn’t take much to discover that some things moved him profoundly. A real concern for serving soldiers, for example, and an anxiety that their efforts were not as fully recognised in our society as they could be. He spoke with great pride of the efforts of young soldiers in shoring up this city’s civil defences during the Manawatu Flood Event of 2004 (he chaired the committee that produced a report on the floods). He relished a story that Godfrey told of the late Professor M.K.Joseph, novelist, poet and bombardier in the Royal Artillery during the Second World War. A military procession was passing up Queen Street in Auckland and, from one side of the street, it was getting a hard time from a group of youthful hecklers. This was at a time of general anti-war feeling. On the other side of the street quietly stood Mike Joseph, a tall bear of a man, respectfully saluting the young soldiers. He knew, as Piers did, that if you have an issue with a war you take it up with the politicians and the people who elected them, not with the serving troops. Piers had a very strong sense of social justice, belying the popular prejudice that military professionals are not concerned with the common good. As a young officer – still a captain, I believe – returned from a stressful time in Vietnam, he wandered down to the Panmure Bridge, just down from the family home in Auckland, looked at all the yachts and pleasure craft anchored in the Tamaki Estuary, and then returned home gasping to our mother “Mum, New Zealand is so rich!” He was amazed and appalled that New Zealanders took their affluence for granted, didn’t realize how much of the world suffered and how impoverished so much of the world was. He knew that in the modern world, military force is pointless if it is not serving democracy, and democracy is pointless if it is not serving the needs of all the people. Rudyard Kipling famously said that “single men in barracks don’t grow into plaster saints”. Piers did tell me to tell the truth about him and he wasn’t a plaster saint. His absolute certainty about some things could be terrifying. If you were incompetent at something, he told you so, which wasn’t always a pleasant experience. He became angry – really angry - at what Americans call “stolen valour”, those charlatans who claim the right to war military medals to which they are not entitled. More than once he lost friends by exposing such frauds, even though he was right. There was a period of some years when he was estranged from his family, despite the best efforts of Miriam and Godfrey and Gerard to keep in touch with him. But one of the great delights of his family in recent years had been to re-establish full contact with him; to share his pride in his daughter Justine and his son James; and to know him as a wise, experienced and mellowed counsellor and friend, as well as a brother. It is also our privilege to acknowledge the good and dedicated people such as Adriane, Max and other friends and colleagues, who rallied around him in his last days. The sudden diagnosis of cancer was shocking. Piers only once railed against death and lamented the good times he would be missing with his pet dogs, his friends, colleagues, family and especially children and grandchildren. Then he stopped his tearful railing and put his shoulders back and bore it like a good soldier. Hi Nicholas, I have just read this eulogy and am deeply touched having just discovered tonight that Piers had died. Could you email me at cbearsley@optusnet.com.au ? I had the privilege of sharing the 1993 Royal College of Defence Studies course with Piers. Your eulogy sums him up perfectly: he was the grit in the oyster which creates the somewhat lumpy pearl. He was particularly irked by maps with North at the top, which he felt undervalued the southern hemisphere. I run the RCDS 93 website and have taken the liberty of including your eulogy to Piers as part of our 2013 newsletter. If you email me at john@nlmorrison.demon.co.uk I will give you the keys to the site - since we include members' personal details we have to control access. I must say that when I saw your photo I thought "That's Piers with a beard"! Nicholas - Teena and I were saddened when we recently learned of Piers' death. We met Glyn and Susan Harper on a cruise and they directed us to your post. I served with Piers at the US Armed Forces Staff College in 1983 and then we both went to Washington DC where he served at your Embassy and I served in the Pentagon. Piers was a fantastic leader at the staff college and kept us well informed of world events that often did not get covered much or at all in the US news agencies. It was a sincere pleasure to have known him as well as Jo and Justine and James who were children at the time. We will miss him. Thank you for this response. it has been touching to note the number of people who have got in touch with me aboiut this since this eulogy appeared. As a mark of respect, they would add it to his online cenotaph record if it comes with 'family consent'.